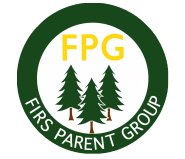 The FPG plays a pivotal role in the life of The Firs School. We organise coffee mornings, fairs and events that raise money for equipment and experiences that further enhance our children;s education. We also raise money for a number of different charities over the course of the year. All parents are welcome to join the FPG and attend any of the events and meetings held. The FPG aims to be an inclusive network for Firs families creating a strong community to support one another. We are always looking for volunteers for our events so if you can’t make meetings or the coffee mornings but could offer an hour or so of your time as we run and prepare for the events we will always be extremely grateful. We have charitable status and are registered with easyfundraising.org.uk. You can now register on www.easyfundraising.org.uk and any on line shopping will make donation to the FPG – it’s really money for nothing. Look in “support a cause” we are The Firs School Chester, there’s over 2,700 retailers. Raising money for nominated charities.